Toon Dionysus depicts the Olympian god of the grape-harvest, winemaking and wine, of fertility, ritual madness, religious ecstasy, and theater, but not the youthful and beautiful version. Instead, we have the drunken, lustful Bacchus. Toon Dionysus for Chunk works with Poser 9+ and DAZ Studio 4 or higher and requires the male version of Chunk 3D. 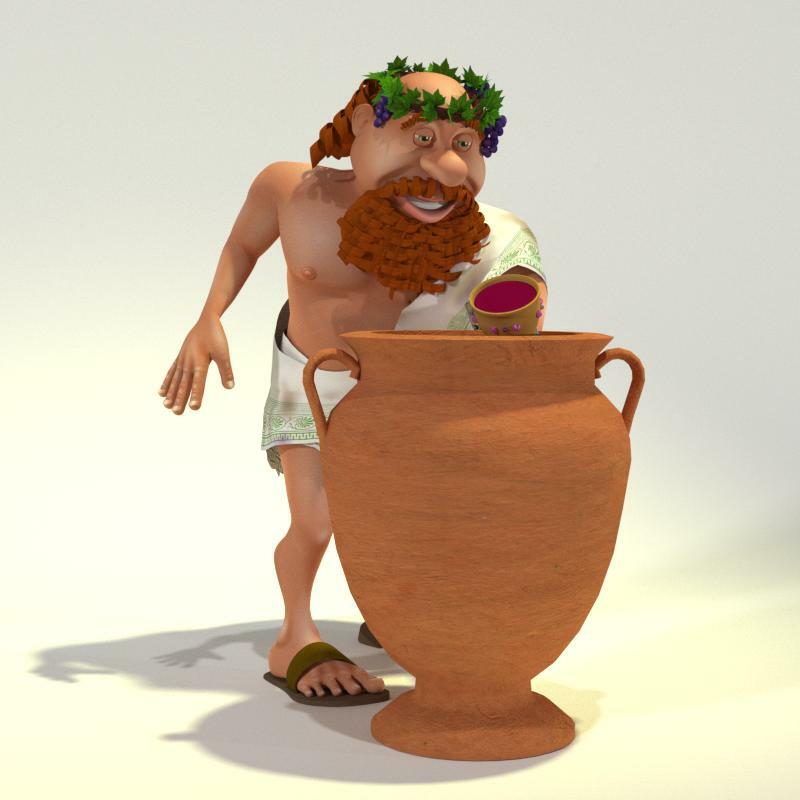 Toon Dionysus includes 19 textures including bump maps. A Poser MAT pose also switches Dionysus clothing pieces from their clean versions to their dirty versions. Chunk 3D is a FREE model from the new Toon People series from Meshbox Design. Download Chunk3D for free now.